United Sneinton: May 4th is the day! A group of Sneinton residents has come together to improve understanding and cooperation across Sneinton. Now they are planning a special day aimed at bringing together their communities to share their cultures, and to talk and work together. 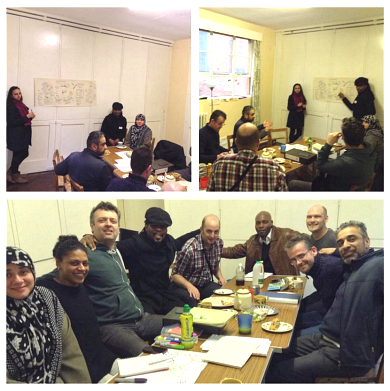 Supported by the Community Organisers through Sneinton Alchemy's "Integrating Communities" project, they have listened carefully to friends and family within their own communities, and met to represent, discuss and understand the issues, both shared and different. Integrating Communities is supported by the Big Lottery, through the Awards for All programme.